Heres's a little additional information that may help better understand some of the other technically correct, but shorter answers. In the strictest sense a Class Factory is a function or method that creates or selects a class and returns it, based on some condition determined from input parameters or global context. This is required when the type of object needed can't be determined until runtime. Implementation can be done directly when classes are themselves objects in the language being used, such as Python. Since the primary use of any class is to create instances of itself, in languages such as C++ where classes are not objects that can be passed around and manipulated, a similar result can often be achieved by simulating "virtual constructors", where you call a base-class constructor but get back an instance of some derived class. This must be simulated because constructors can't really be virtual✶ in C++, which is why such object—not class—factories are usually implemented as standalone functions or static methods. ✶ Virtual functions are normally resolved "late" by the actual type of object referenced, but in the case of constructors, the object doesn't exist yet, so the type must be determined by some other means. The best implementations are those that handle new candidate classes automatically when they are added rather than having only a certain finite set currently hardcoded into the factory (although the trade-off is often acceptable if the factory is the only place requiring modification). 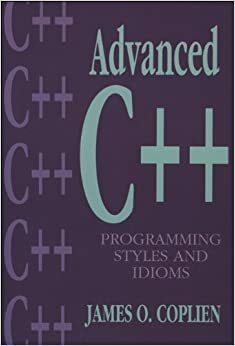 James Coplien's 1991 book Advanced C++: Programming Styles and Idioms has details on one way to implement such virtual generic constructors in C++. There are even better ways to do this using C++ templates, but that was not covered in the book which predates their being added to the standard language definition. In fact, C++ templates themselves are class factories since they instantiate a new class whenever they're used with different actual type argument(s). Update: I located a 1998 paper he wrote for EuroPLoP '98 titled C++ Idioms where, among other things, he revises and regroups the idioms in his book into design-pattern form à la the 1994 Design Patterns: Elements of Re-Usable Object-Oriented Software book. See also the related answers here for the question Class factory in Python. Also see Abstract Factory, Template Style which is a 2001 Dr. Dobb's article also about implementing them with C++ Templates. I think most people refer to this as the Handle Body idiom. See James Coplien's book Advanced C++ Programming Styles and Idioms (Amazon link). It's also known as the Cheshire Cat because of Lewis Caroll's character that fades away until only the grin remains. The example code should be distributed across two sets of source files. Then only Cat.h is the file that is shipped with the product. CatImpl.h is included by Cat.cpp and CatImpl.cpp contains the implementation for CatImpl::Purr(). This won't be visible to the public using your product. Basically the idea is to hide as much as possible of the implementation fom prying eyes. This is most useful where you have a commercial product that is shipped as a series of libraries that are accessed via an API that the customer's code is compiled against and linked to. We did this with the rewrite of IONAs Orbix 3.3 product in 2000. As mentioned by others, using his technique completely decouples the implementation from the interface of the object. Then you won't have to recompile everything that uses Cat if you just want to change the implementation of Purr(). This technique is used in a methodology called design by contract. You can't derive a class from int, but you should be able to make a class (e.g. Integer) that is interchangeable with int by implementing Coplein's Concrete Data Type idiom from Advanced C++: Programming Styles and Idioms and then by overloading the type cast operator from Integer to int and defining a conversion operator from int to Integer.